Moto Mods are an essential and powerful accessory, which can just snap onto the rear of a Moto Z device to bring extra functionality to the same. The company launched the concept of Moto Mods earlier last year but it hasn’t attracted as many buyers as they expected, so Motorola has now debuted an Android marketplace app, called Moto Z Market, that makes it easier for you to select the right Moto Mod for your Moto Z smartphone. This marketplace app made an appearance on the Play Store just yesterday and is tasked with making the complete collection of “Moto Mods” available on your device. You can use this app to not only discover and read about any Moto Mod, but you can also order your favorite pick from right within the app. While the app sounds like what Moto Z users would find quite handy but that isn’t the case in real life. It will be an understatement to say that the user response towards this app has been quite negative. Many of them are, as a matter of fact, infuriated by the surprising addition of new bloatware on their Moto Z devices. 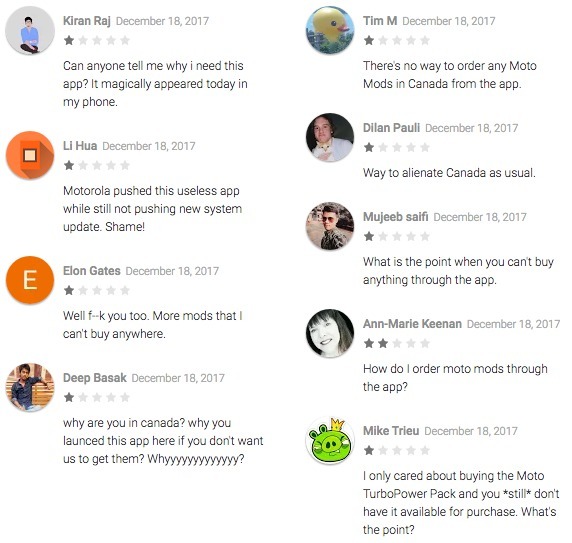 If you turn your attention to Moto Z Market’s reviews on the Play Store, you’ll find that many Canadian users, as well as others, have given the app one-star ratings. This is because Moto Mods haven’t been launched in their country but they still have to deal with yet another Moto app. Currently, the Moto Z Market app has a 2.7 rating after 168 user reviews, with a majority of them being one-star ratings. The user’s response is astonishing and the hatred towards the company is easily palpable in their comments. Some users, on the other hand, want to see the Moto Mods that were shown off but still haven’t been officially launched. The Moto Z Market app comes on the heels of the launch of the Mods in India earlier last week. What are your thoughts on the Moto Z Market app? 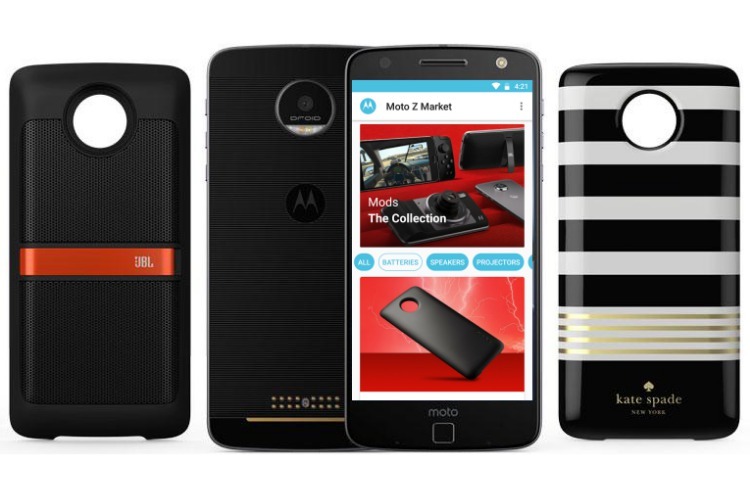 Are you planning to order Moto Mods for your Moto Z? Let us know in the comments down below.